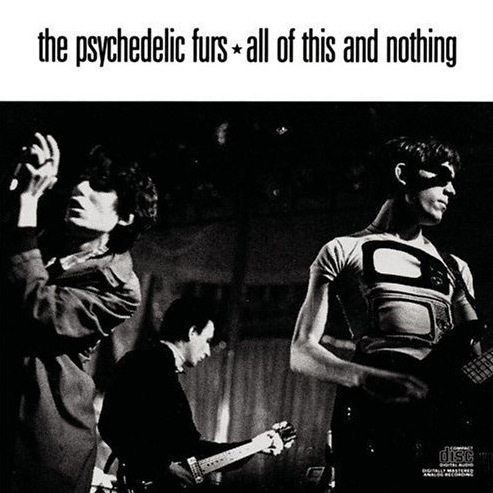 At a time when most were watching Miami Vice and sporting Hypercolor, the Psychedelic Furs’ 1988 compilation All of This and Nothing delivers a minimalist black and white composition to near perfection. No bright attention-grabbing neons or funky typefaces here. Simply Univers in all lowercase (likely Univers 49 Light Ultra Condensed with tightened tracking). The neo-grotesque sans-serif was originally designed by Adrian Frutiger in 1954 and released by the French foundry Deberny & Peignot in 1957.